Fluke Specials' new spring-summer campaign is in place. 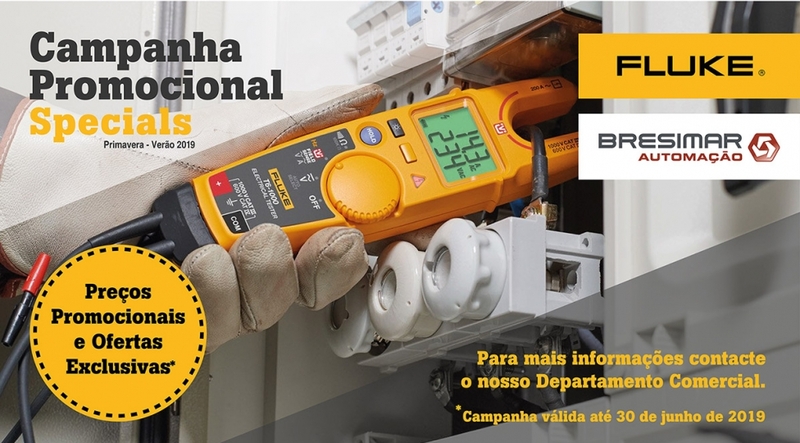 In conjunction with Fluke, Bresimar Automation offers you promotional prices and exclusive offers in several product ranges, where you can find Multimeters, Amperometric Tweezers, Electrical Testers and Thermographic Cameras. The Fluke Specials promotional campaign is available through June 30, 2019. For more information, please contact our commercial department or our Fluke brand manager.